Want to make your own battery operated vehicle? 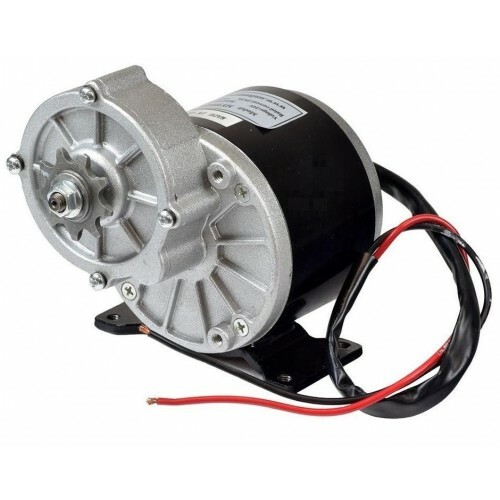 This this geared electric motor is perfect for you. MY1016Z2 is a 24 volt 250 watt geared electric motor perfect for your electric scooter and bike motor. It Comes with 9 Tooth only fits 410 bicycle chains. This electric motor is capable of rotation in either the clock wise or counter clockwise direction by reversing the motor's power wires (reversing the polarity to the motor).